Dharmasthala, Oct 24, 2016: The 49th anniversary of pattabhisheka of D Veerendra Heggade as dharmadhikari of Sri Kshetra Dharmasthala will be celebrated today October 24, Monday. The temple town, located some 75-kms from here has been decked up to mark the occasion. On this occasion the temple of Lord Manjunatha, beedu (residence of Heggade), Basadi, Amrutha Varshini hall, the various guest houses and dormitory complexes dotting the temple town wear a festive look. 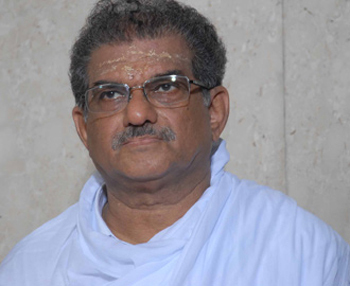 Minister for religious endowment and textiles Rudrappa Manappa Lamani will felicitate Heggade to mark the recognition bestowed on Sri Kshetra Dharmasthala as the cleanest religious place in India as per a survey carried out. Prabhakar Kore, Rajya Sabha MP and chairman, KLE Society and Chancellor, KLE University, Belagavi will be the chief guest and K Vasanth Bangera, Belthangady MLA will preside over the function. Special pooja will be offered at the Manjunatha temple and Bhagwan Chandranath Swami Basadi, a communique from the Kshetra stated. Heads and employees of various institutions administered by the Kshetra, devotees, well-wishers and people from within the district and outside will offer fruits and flowers to Heggade to express their love and reverence for him. Reports of various institutions will be presented at the function to be held at Amrutha Varshini hall. Meritorious students of institutions managed by the Kshetra will be felicitated on this occasion. Heggade will also felicitate senior employees of the Kshetra and is expected to announce new schemes and projects of the kshetra on this occasion. The kshetra has already carved a niche for itself with projects and schemes such as free mass marriage, rural development project, naturopathy and yoga treatment and renovation of historic and ancient temples. The city might be crowded to be apart of the functions.